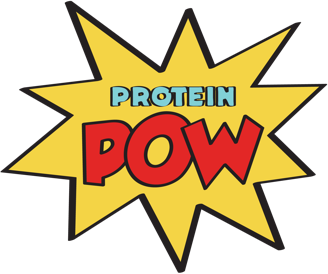 Ever since this website has existed, I’ve uploaded Halloween Protein recipes for you guys to make and, ideally, hand out to your protein-loving friends and family (or to yourselves!) this holiday season. (If you’ve never eaten ‘Chocolate Protein Feet With Eyes‘ before, cough cough cough). Usually, I publish the recipes on the 31st of October but last year I realised that’s silly because you need the recipes BEFORE Halloween in case you want to make them, that way you can plan for everything. So, I have two Halloween recipes ready for you this year: these Pumpkin-themed Peanut Butter Protein Cups and Protein Spiders. One thing I want to say before you click PLAY on the video below is that I bought the pumpkin-mold you see in the video from amazon but, honestly, you can get ANY halloween mold from there – they have witches’ hats, spiders, bats, all kinds of fun stuff. Also, if you don’t care about stuffing your chocolates (or cups) with protein, go ahead and just fill your silicone molds with your favorite kind of melted dark chocolate! Or with melted dark chocolate and some nuts or dried fruit to customize them to your palatte, you know? This kind of thing is so easy and fun to make, especially if you have kids and want to get them involved. Lots of customisation is possible and you end up with yummy treats, what’s not to love, right? Anyways, here’s the recipe for these scary scaaaaaaary cups! Mwahahahahhaa!!!! 3. Set in the fridge for an hour or the freezer for 15-20 minutes. Done!